Fall is finally here in Northern Virginia! I am looking forward to family gatherings and warm, cozy nights in when we can (finally) break out the hot cocoa. 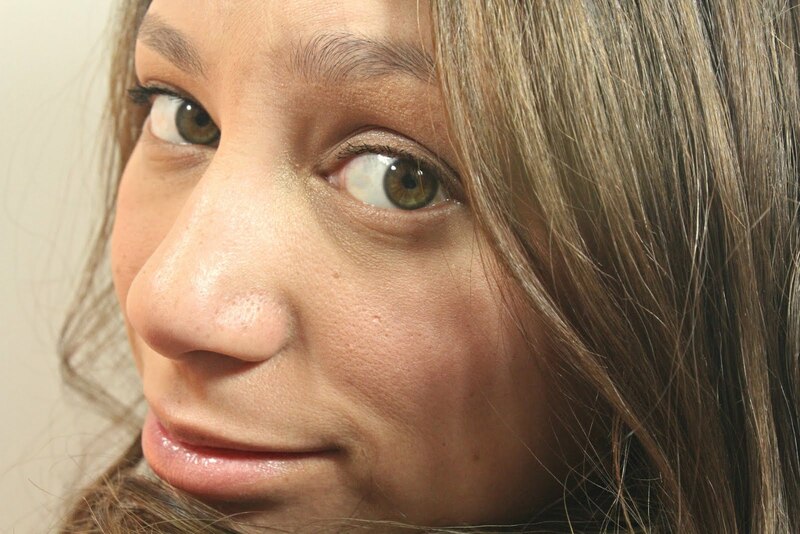 I also love how Fall can make us itch with a need for change leading to closet swaps for warmer clothing and maybe an autumnal version of spring cleaning around the house. Arhaus, a home furnishings company committed to quality and sustainability, recently shared some of my thoughts on an infographic to make the home a more mindful one this season (see below). 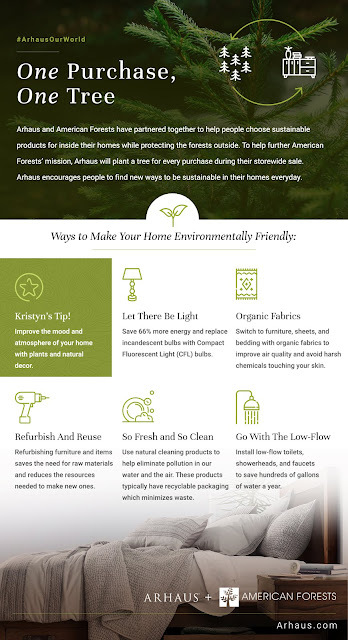 This year Arhaus has partnered with American Forests for the One Purchase, One Tree program with a mission to plant trees and promote greener living. I was intrigued, especially by their products, like dining room furniture sets that are made with refurbished copper and harvested tree roots to help protect the environment. We don't get as many "green" visuals in the Fall as we do during Spring, but we can certainly turn our thoughts toward our environment by making our homes more eco-friendly doing things you already do. While growing up I learned from my mom that simply opening a window was like a magic spell. She often opens a window or two to let the sun and a breeze into our home to freshen things up. Take advantage of the transitioning weather that is the charm of Fall by welcoming in some fresh air and possibly offset some of your energy costs with natural elements. The holidays are coming. From Halloween to Christmas, the season is upon us which means parties and dress up and food - oh my. Spend less green while going green this year with DIY and local alternatives for holiday entertainment. Create costumes from clothing that could have a second life, upcycle something you would normally throw away to make seasonal crafts, or serve up your favorite recipes made using local produce. You'll be having a good time AND helping the environment. Speaking of the holidays, things are about to get a little frenzied as we move through the last few months of the year. Keeping track of all the get togethers can require a lot of mind work, and paper. Consider managing your footprint by consciously choosing electronic options for things like your calendar, bills, and travel tickets. You've heard the phrase, "There's an app for that," so finding options that work for your needs shouldn't be too difficult. Brighten the indoors with plants or décor made from natural materials. Houseplants especially are known to improve mood and air quality, keep temperatures low, increase humidity, and a slew of other benefits. Start small with an herb garden in the kitchen or by keeping succulents around the house which require little effort yet still provide the perks. If you're going for the real deal, spider plants, ivy, and palms are also low-maintenance with much more of the show.